Donald J. Trump is labeled by CNN as a liar on a regular basis, while the dead communist tyrant Fidel Castro is lauded as a revolutionary hero. American reporters are in Havana, Cuba to film people crying on their way to honor a dictator who had recommended that the Soviets launch a nuclear attack on the United States. Virtually all day long on Monday, CNN was broadcasting the “news” that Trump had “falsely” claimed that millions had voted illegally in the 2016 presidential election. CNN had not bothered to provide to its viewers the 45 pages of documentation of Trump’s claim from the Trump transition office. Instead, CNN simply dismissed it out of hand. Zero evidence? That’s a matter of opinion. Viewers had no way of knowing that the Trump transition team had provided 45 pages of documentation. 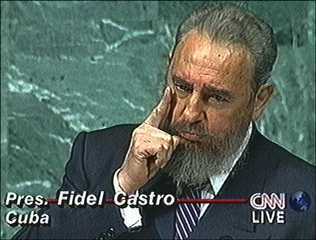 This sickness in the media is matched by the reaction of leading “progressive” organizations to Castro’s death. Ironically, Global Exchange claims to be “an international human rights organization.” The group makes money from trips to Cuba. Lee was a secret member of the Committees of Correspondence for Democracy and Socialism, a spin-off of the Communist Party USA. She was Barack Obama’s Western Regional co-chair during the 2008 presidential campaign.